This post is a response to Fox Chase Review‘s post which can be found here: Poetry in Decline? “G” asked for responses to the need for a revolution in (USA) poetry, stemming from Diane Sahms-Guarnieri’s comments. Her ideas were excerpted, so I may be missing some of her assertions or evidence. In one way, she echoes Dana Gioia’s famous “Can Poetry Matter?” essay and book (1992): that is, in terms of questioning the isolated, academic support of poetry, poetry study, MFAs, and university publishers as elitist and as dampening a wider audience for poetry. While Gioia tends to support the literary canon in general, he stresses in his early essay that poetry has its own specialized, “frenzied” little circle of literary lights but that the art itself no longer exerts much influence on life, culture, and thinking in the USA. The situation has become a paradox, a Zen riddle of cultural sociology. Over the past half century, as American poetry’s specialist audience has steadily expanded, its general readership has declined. Moreover, the engines that have driven poetry’s institutional success—the explosion of academic writing programs, the proliferation of subsidized magazines and presses, the emergence of a creative-writing career track, and the migration of American literary culture to the university—have unwittingly contributed to its disappearance from public view. Sahms-Guarnieri further suggests that isolated, academic styles of poetry are partially to blame for poetry’s “decline” among US readers and calls for a return to realism. I’m not sure “realism” is the answer, because many infusions of style, energy, or revolution that have done poetry good as a whole have not exactly fallen into that category (was Lorca a realist? just as one example). I embrace the idea of the narrative-lyric mode, which may be considered a kind of realism; but I also love many, many other styles of poetry, some of which are “difficult” and not easily accessible to the general reader. The main means through which I learned the diverse structures and approaches to poetry is through reading on my own, autodidact that I am. Yet formal study and literary criticism increased and deepened my passion for this art. I teeter on the fringe of academia though I am a poet who writes outside of the classic academic framework. I feel compelled to defend the teaching of poetry, though I admit the process is often done badly. Still, one of the things academia does best is to examine the work, and I feel readers who examine what they love more closely will benefit from doing so (rather than taking the “I know what I like” stance). Academics have, since the 1970s, begun seriously to read beyond “the canon,” and that is all to the good. Academia doesn’t produce the best art, however. Knowing how things work in theory does not equal expertise. I know how a bicycle works, but I am pretty sure I couldn’t build one from scratch. The poems that remain timeless are seldom elitist. The problem with the elite is that it eventually falls from grace. When that occurs, the allusions and puns and, often, the entire foundation of the piece get lost. This issue can be equally true of poems that are “realistic.” If the poem offers no recognizable aesthetic, purpose, or sensation, it ceases to be valuable to future readers. Many of today’s poems will suffer this fate–mine among them–and that’s not a bad thing. We don’t get to judge which art is revolutionary, prescient, timeless; later generations make those judgments. And that is one reason many writers resent academia and university presses: it seems as though these institutions are “at the top of the mountain” and trying to keep their situations exclusive; in other words, they are acting as cultural, literary judges. So they are…in their time. They cannot enshrine themselves for the future. Art doesn’t work that way. 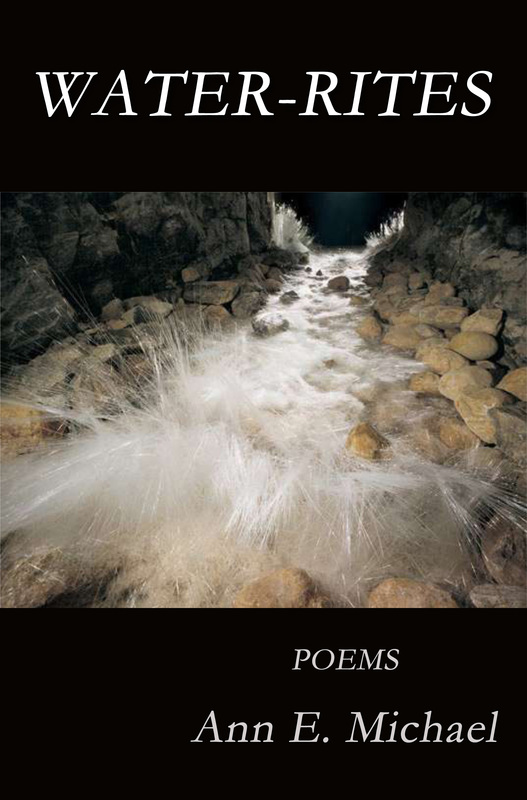 Contemporary Poetry Review claims it is there to resuscitate contemporary poetry, which implies poetry’s suffering a near-death experience. I do not think poetry is dying. I think it is changing, which it has always done, because art is responsive to and entangled with culture and therefore defies stasis. Poetry, like most art, tends to exist on the cultural fringe, where it hangs out with curious, inventive people who bother to seek for it. Some of them look on the mountain top, and some of them look online, or in pubs that host open mics, or at independent bookstores, long may they thrive. With luck, and maybe some encouragement, those people might buy a book or two–including POD-published or self-published books (why not? –and while you’re at it, Water-Rites is still available!). This last point coincides somewhat with Larry Robins’ perspective in the Fox Chase Review piece. If you really do know what you like, regardless of how you make that judgment, buy a copy of the book. And don’t get it second-hand from Amazon if you can help it–buy from the small press or the author or an indie book shop if you can find one in your area. Read it again and again, and figure out why you like it. Tell someone else. Discuss what you love. That’s what keeps poetry alive.